Console Wars TV Series in Development | Nerd Much? 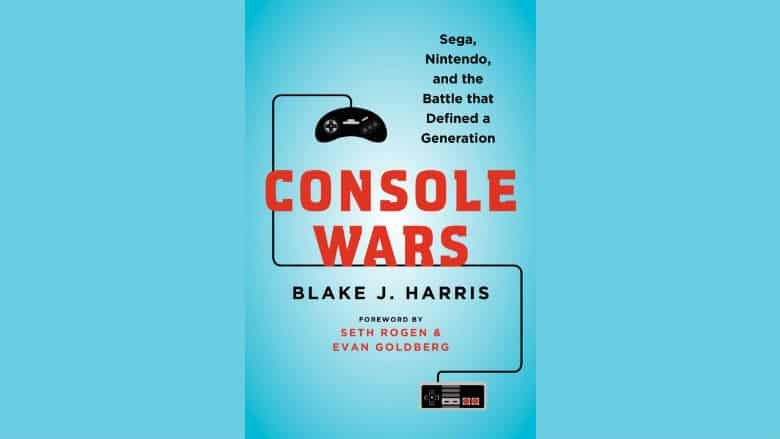 Console Wars, subtitled Sega, Nintendo and the Battle that Defined a Generation, was a 2014 novel written by Blake J. Harris. It told the story of the fierce competition between the two gaming companies during the 1990s that would help form the future of the industry as we know it. It was an enticing enough title that Seth Rogen and Evan Goldberg’s Point Grey Pictures optioned the book for a feature film shortly after its release. But that’s now changed. The duo have now confirmed that a Console Wars TV series is in the works. Seth Rogen and Evan Goldberg actually wrote the forward to Harris’ novel, so the two have been involved with the book in some degree since publication. Along with Legendary TV, Rogen and Goldberg will just be producing the project that’s being described as a limited drama series. Jordan Vogt-Roberts is attached to direct the Console Wars TV series. The now big time director helmed Kong: Skull Island in 2017. And he’s also attached to a potential Metal Gear Solid movie should it ever happen. Writing for the Console Wars TV series is to be handled by Mike Rosolio. The scribe wrote an episode of American Vandal in the Netflix show’s first season. In addition to Rogen and Goldberg, James Weaver is also on board to executive produce. Others in attached in the role are Scott Rudin, Eli Bush, Julian Rosenberg, Harris and Jonah Tulis, and the aforementioned Rosolio and Vogt-Roberts. Hopefully Legendary and Point Grey’s Console Wars TV series has the ability to capture a fascinating time in the game’s industry just as Halt and Catch Fire did for PCs. There’s a lot to mined regarding Sega v. Nintendo, as well as Sega of America v. Sega of Japan. Whether it does so successfully – and where the project lands – are things we’ll just have to wait and see on.